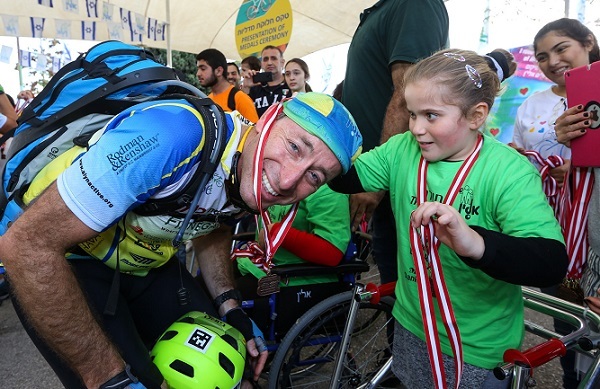 ALYN Hospital in Jerusalem is a world leader in helping children who have severe injuries or have been born with physical challenges that make living an independent life almost impossible. Through cutting edge technology, vast medical experience, and a tremendous amount of love, ALYN embraces these children and provides the very best treatment. ALYN Special Projects give participants the opportunity to ride, run, or jump to help the children of ALYN. Choose your event, ask your family and friends to sponsor you and then see just what you are capable of when you push yourself to help a child in need.